1. Mix all the ingredients for the pancakes in a small bowl. 2. Let sit for a bit and begin to mix the ingredients for the chocolate yogurt layer. 3. Let the yogurt sit in the fridge and begin to preheat a pan on the stove on medium heat. 4. Spray the pan with non-stick cooking spray and begin to make your pancakes. 5. To plate, add one pancake, top with yogurt and repeat until all used. 6. 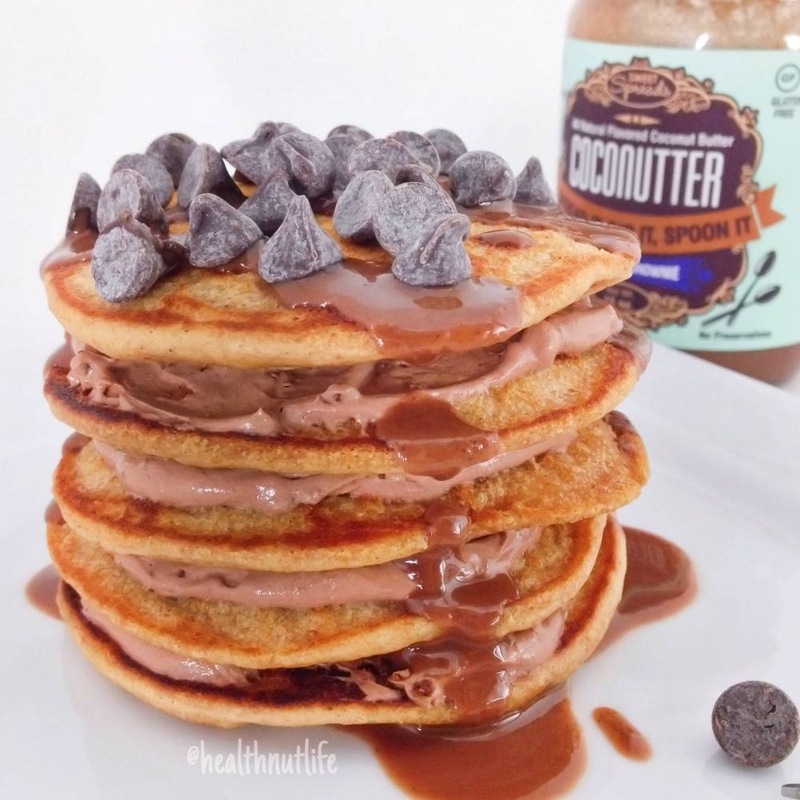 Top with the Chocolate Brownie SweetSpreads CocoNutter and the chocolate chips to complete it and enjoy!